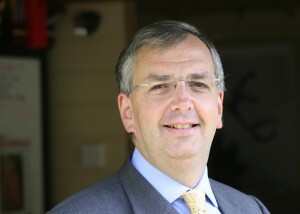 Simon Spanswick is a founder director of the AIB. His career spans both public and commercial sectors and for many years he has been closely involved in digital broadcasting. Having contributed as a freelance journalist to BBC World Service English output since 1981, Simon joined the BBC in 1986. He spent time with BBC Monitoring, and was part of the specialist team that formed part of the UK delegation to WARC 92, safeguarding the BBC’s interests in terms of short wave and satellite broadcasting frequencies. In 1993, Simon moved to World Service Corporate Affairs, working on press and public relations initiatives, while at the same time continuing to present the World Service English media programme, Waveguide. He was the Project Manager for the Digital Radio Worldwide consortium that brought together international broadcasters with an interest in satellite-delivered digital radio services. In 1996, Simon left the BBC to join World Radio Network as Director of Corporate Affairs. He worked on a variety of projects to raise awareness of WRN in the global broadcasting industry, and secured funding from the European Commission to launch pan-European radio services. He also led the project, part funded byBritain’s Department of Trade and Industry, to develop the world’s first portable DAB receiver. Simon has managed the establishment and launch of major DAB Digital Radio services in the UK and has worked as a consultant to Digital One, the UK’s national DAB multiplex operator. As Chief Executive of the AIB, Simon leads the organisation’s work on a day to day basis. Simon regularly speaks or chairs sessions at industry and consumer conferences about varied aspects of broadcasting.